My amazingly talented and beautiful friend Francesca de Valence released her debut album Own Self (after four EPs!) late last year. It’s a freaking masterpiece of songwriting and musicianship. 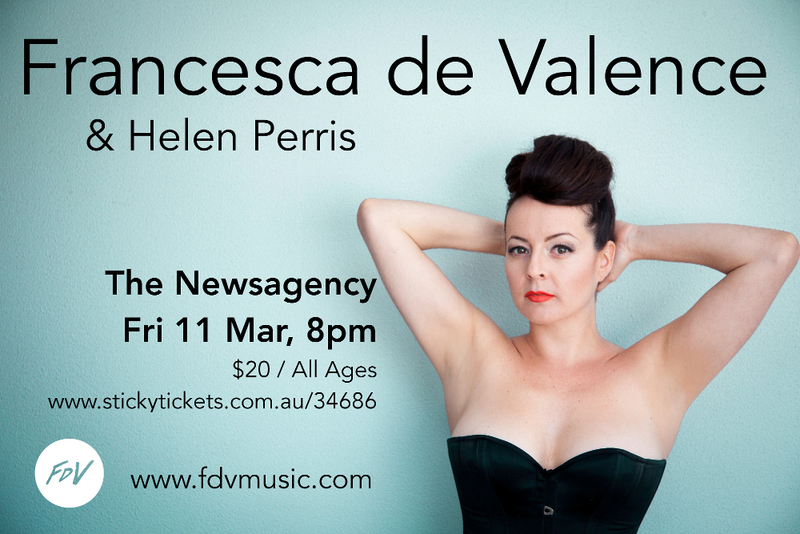 She’s touring now to promote the album and is coming to my favourite venue, The Newsagency in March. Francesca founded the I Heart Songwriting Club, that I’ve been part of for almost a year, so you can thank her for helping me hone my songwriting skills by getting me in the habit of writing every week. She’s pretty much a goddess and you should come to this gig to marvel at the beauty of her voice and her songs. Oh and I’m playing too, bringing the dork side to the gig. If you’re lucky, we might even have time to knock up a duet during soundcheck. Next post: What’s happening at the moment? Previous post: Fabulous reviews for Mirrors & Windows!